Travelling through the cities we kept getting glimpses of the contrasting cultures of east and west. In the residential districts your eyes are met with rows upon rows of high-rise cookie-cutter style apartment blocks, in the city centres the skyscrapers tower above you with their western influenced modernity and perfection. Then there are the alleyways – the famous Beijing hutongs – whose tiled roofs, grey colour and courtyard style homes look like they have been taken straight out of a movie. The little red posters hanging on the doors and windows wishing luck, wealth and happiness onto the family are distinctly Chinese. 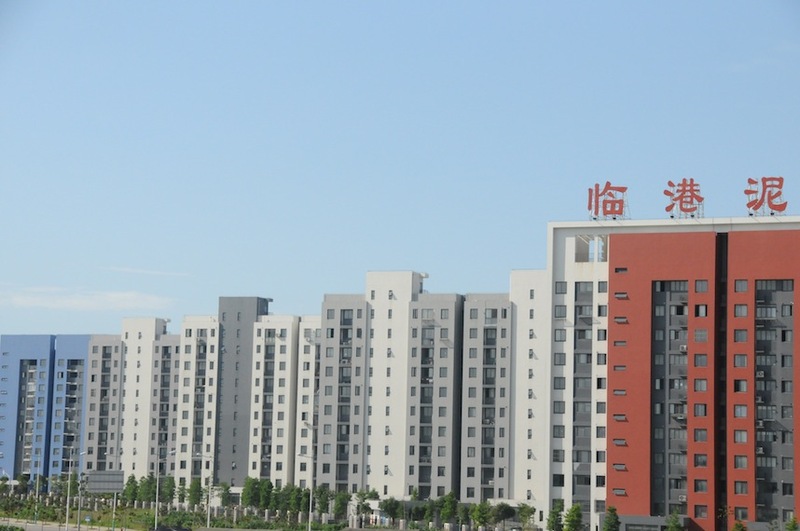 An interesting point to think about is the use of modern architecture in the Chinese cities, with many modern building styles borrowed directly from Western architectural models, how do they create a distinctly Chinese modern building? In an increasingly interconnected world, is it even possible to develop something entirely unique without being subjected to the influence of other cultures and societies and still remaining modern? This question will be the entry point into a much more in-depth analysis into innovation in the east – watch this space. But for now, what I found in the contemporary architecture of China were countless examples of form and function taken directly from the Western conceptions. Yet the Chinese influence is by no means absent, the China Pavilion from the 2010 Shanghai World Expo is one example, as are the classical tiled roofs still used on many modern buildings. So within the architecture there is a constant contrast, the old and the new, the east and the west. Within the arteries and organs of the cities the cultural contrasts are much more closely interconnected. The stop signs, traffic lights, window displays, phone booths and toilets all copy the global models, yet surrounding them there is still a distinctly Chinese culture, with fruit and vegetable shops in the airports, “squat” toilets in the bathrooms, a completely different take on Western conceptions of “personal space”, and of course the millions upon millions of people. Socio-spill is the way in which popular culture gets replicated through the development of memes that make their way into physical outputs. In return these physical outputs influence the mind-sets and behavior of people. Entering a bank branch in Beijing or Shanghai is like entering a branch in Johannesburg, London or New York. Entering a Starbucks in any of these cities… you get the picture.